We are a friendly and fun group who love to sing! 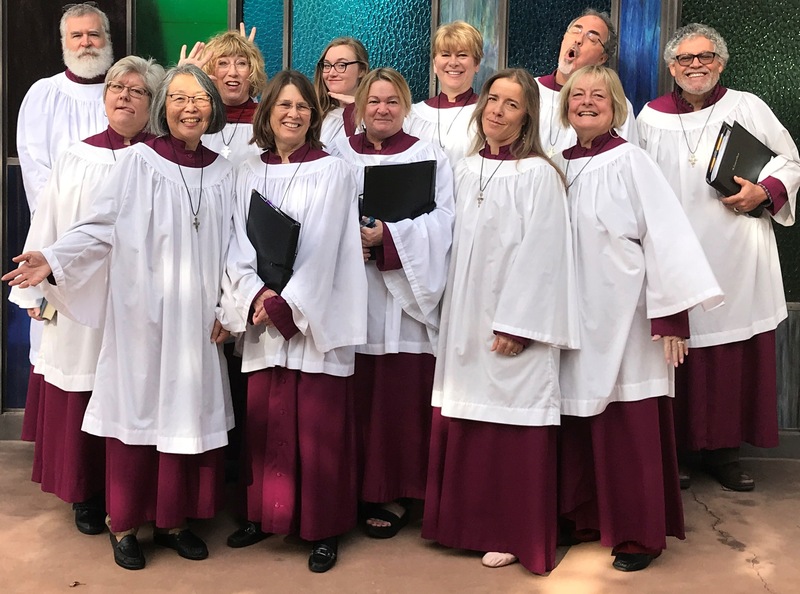 St. Francis Choir, under the direction of Dr. Jeannie Cobb, performs a wide variety of traditional and more contemporary choral music, all chosen for its excellence and appropriateness. The main church’s unusually resonant acoustic is particularly suitable for the enjoyment of choral and organ music. Rehearsals are Thursday evenings from 7:15-9:00 p.m., and then we meet at 9:00 a.m. Sunday morning to warm up and prepare ourselves for worship. We’d love to have you join us! Come to the Choir Room on a Thursday evening, or email or call Jeannie 310-720-5241. In addition to music for the 10:00 a.m. service on Sunday mornings, the choir prepares major works for performance several times a year. “Super Singers” are folks who cannot consider the every-week schedule, but join us for special performances.